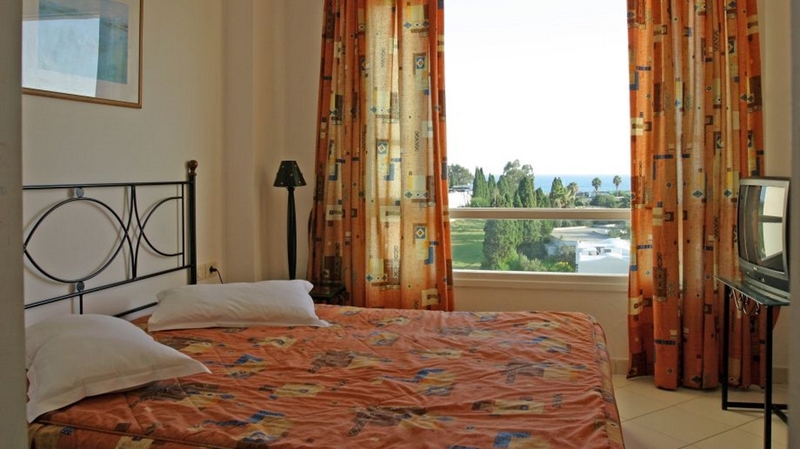 Résidence Villamar is situated on the south coast of Hammamet, just 300 m from the Boudda Beach. It offers free WI-FI and has a flowered garden and an outdoor swimming pool. 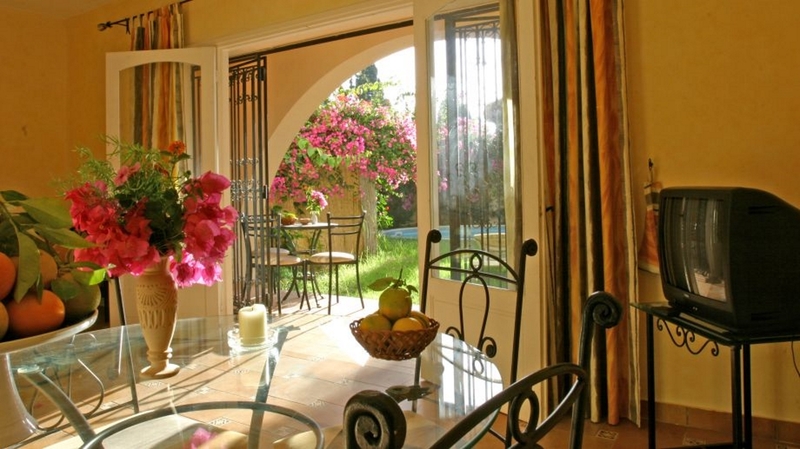 Each detached villa at the Villamar has a fully-equipped kitchen, a private garden and terrace. 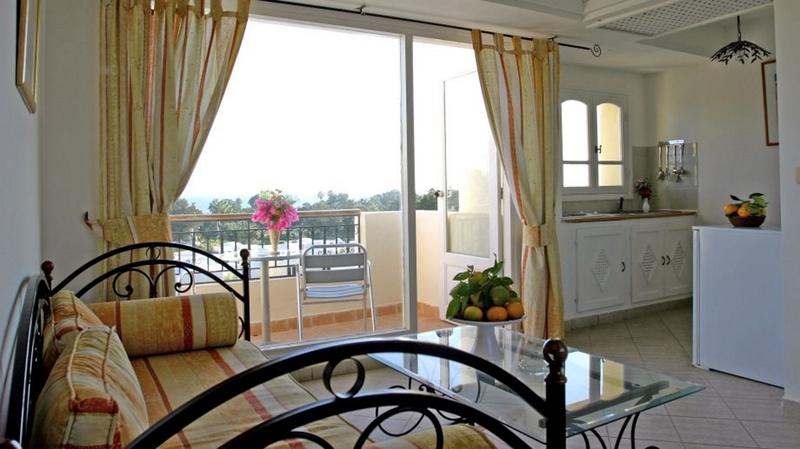 Some suites also have a view of the swimming pool or the sea. A continental breakfast is served daily and the Residence Villamar’s restaurant also offers a seasonal grill menu. Guests of the Villamar can enjoy a range of water sports and there is a small children’s pool. A shuttle service provides access to the nearby golf courses and spas. 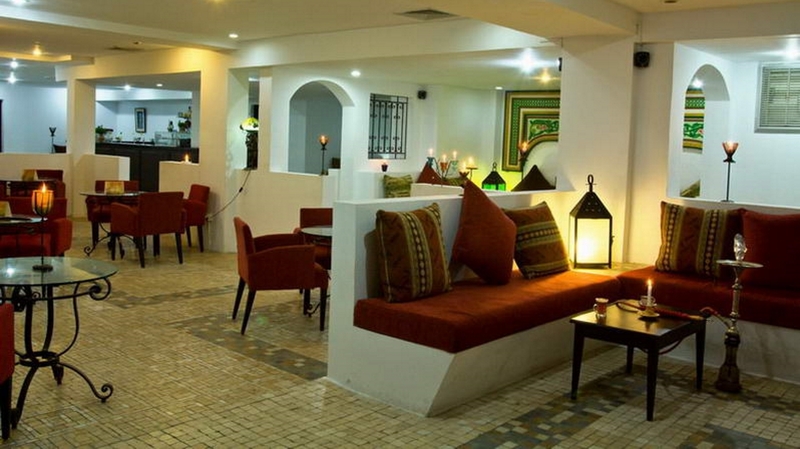 The charming Hotel Résidence Villamar in Hammamet welcomes its guests with Tunisian friendliness. It offers cosy rooms which provide all desirable amenities necessary for an independent stay. In the morning, a continental breakfast is served. The restaurant and bar spoil with traditional and international cuisines. 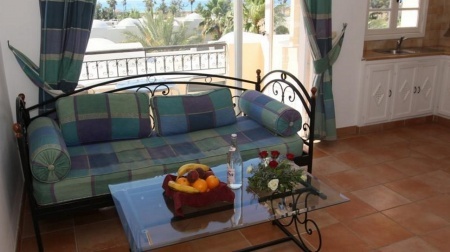 Outdoor pools and private beach invite to swimming and sunbathing. The Guest House Villamar Suites & Villas has meticulously followed the Arabo-Moorish house style in the decorative details of its 10 Villas and 15 Suites, all in shades of beige and ochre. 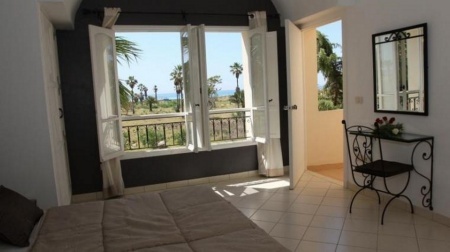 and all the Villas and Suites have open aspects with balconies and/or terraces, as well as telephone,satellite television and internet acces.There is private parking and daytime room service. Hotel built in: 2002, Last complete renovation: 2009, Last partial renovation: 2010, Number of floors: 2, Total number of rooms: 15, Number of single rooms: 4, Number of double rooms: 11, of which have 2 separate beds: 11, of which have a double bed: 4, of which are suitable as three-bed rooms: 6, of which are suitable as four-bed rooms: 4, Number of suites (separate rooms): 6, Number of apartments: 5, Number of rooms with air conditioning: 15, Number of luxury rooms: 5, No-smoking room: 3, 3 Family rooms available, Children's beds/cots: 4 Euro.